I've been hearing this term, Chick Lit, being thrown around quite a bit lately. I don't necessarily know where the line is drawn or what qualifies as "chick" lit. Does it have to be about a woman? Does there have to be romance? Does it have to be light-hearted and/or funny? It does seem those are some of the main qualifiers, doesn't it? To be honest, if there was chick lit shelf at the bookstore, I would most likely walk right past it. I don't know why, and it's not meant to be judgmental, it's just never been much of my thing. I just never thought that because I am a "chick" means that I should be reading Chick Lit. So, when I chose this topic, I didn't think much about what I would write about. Allow me to do a little thinking out loud. 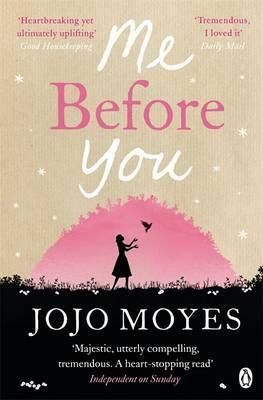 - In a recent interview with author Jojo Moyes, a reader asked about this cover of her novel, Me Before You. They pointed out that the cover made the book look more like Chick Lit and didn't seem to fit the story. I wholeheartedly agree. Moyes' response was that in the UK, women's fiction is presented like chick lit, which she admitted was a bit frustrating to her and other writers. The issue here being that MBY is MUCH more serious and thought-provoking than typical Chick Lit and what this cover would lead readers to believe. Interesting, is it not? Does the genre chick-lit really exclude heavy story material? -In my recent writing class we learned (I wish I could remember the source) that publishers are/were more likely to publish work written by a man because it's more universal. i.e. A man is more likely to buy a book written by a man and not a woman, and a woman is likely to buy from either a man or woman. Interesting, is it not? Doesn't seem quite fair, but that sounds like a large can of worms I'm not sure I want to open. So, yeah. I don't know what this has to do with chick lit, but I found it interesting and I wanted to share. I guess I just find the whole "women's lit" idea strange because it's not like there is a "men's literature". However, I like the idea of books about women written by women. I just don't like the idea that they have to fit a certain bill or not be taken seriously. Is Chick Lit a writing style, story style or does it really apply to an audience or market? Do you think preconceived notions of certain genres hurt the books in the genre? I can honestly say I've only read a couple books that would be considered Chick Lit. One was a Sarah Dessen book. It wasn't my cup of tea, but I appreciated the message it sent. The girl was brave and smart and wasn't overly obsessed with the boy, even though there was a boy. To be totally honest, I thought it was the kind of book boys should read. To see the struggles and perspective of a typical teenage girl. But sadly, women's lit is sort of locked down, isn't it? Or maybe it's not. I've just been watching too much Orange is the New Black, maybe. What do you think? Do you like Chick Lit? What are your thoughts on the genre and do you have any favorites? Can you recommend some? Please visit our co-host, Rachael Turns Pages. I know she enjoys a few writers in this genre, so I'm anxious to see what she can recommend for us. Honestly, I'd probably walk past a Chick Lit shelf too. It's a whole category to me that's seems to be where books that look pretty are shelved. I love reading everyone's takes this week. 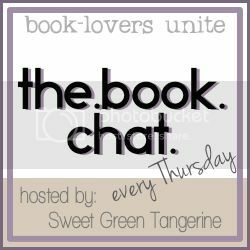 When I prepared my post for this book chat, I did not even think twice about the term. A few books and series came to mind and I did not question the term. I'm quite enjoying reading everyone's views on this! As with anything.. a genre is a tag and everything can't be categorize. At least not perfectly. What you said about "men's literature" reminds me of why some people say we have "women's history" and "black history" months: Because every month is white men's history month haha. So maybe general literature is white male literature, therefore we have to identify "chick lit"? Hmm, interesting thoughts.... Thanks for sparking my interest in this topic! After the research I did for my post this week, I've decided calling something "chick lit" gives it a lighthearted connotation, so I still refuse to categorize my favorite female authors (e.g. Jodi Picoult, Audrey Niffenegger, etc.) as "chick lit" authors because their stories cover very deep issues. I wrote this on Megan's blog, but I think chick lit is a very poor term for a great genre of books. It encompasses a lot of the BIG novels that defined me growing up and I think there are a lot of wonderful lady writers out there who get it right on the money. You just have to find the good ones! You bring such great perspective to this...I feel the same way and hate that term and the stigma that comes with it. I think it undermines some really great books.